Karnataka chief minister Mr H D Kumaraswamy asserted on Tuesday that he proposes to present the JDSCongress coalition government’s budget in the first week of July. At the same time he said that he was determined to keep his promise of waiving farmers’ loans even if took a while. Siddharamiah’s recent remarks where he had argued that there was no need for a fresh budget and a supplementary budget would do. Rejecting the suggestion outright, chief minister H D Kumaraswamy asserted that a fresh one was needed to demonstrate the direction of the new government. His argument was that since this was a coalition government run by the JDS and Congress, Kumaraswamy only needed to present a supplementary budget to meet expenses of on going programmes while adding a few. Strongly pushing for a new budget, Kumaraswamy said he met Congress president Rahul Gandhi in New Delhi last week in this connection. His confidence on the budget on Tuesday obviously stemmed from the successful meeting that he had with the Congress leader. Responding to queries, he, sought to underplay Siddharamiah’s remarks,adding that he had presented several budgets in the past and he was entitled to his opinion. Nevertheless, he said the former chief minister’s views would be considered during the meetings convened for preparing the budget. On the crucial issue of farm loans, his government would definitely keep its promise to the farmers. At the same time he had also approached the centre to share 50 per cent of the burden. A rough estimate suggests that the waiver would cost the state exchequer over Rs 53, 000 crore, a significant portion of the annual budget of Rs 2 lakh crore. In fact, according to him, he had even urged the centre to see how best it could earmark at least 25 per cent of the proposed Rs 2 lakh crore bonds it was planning to raise for helping the distressed nationalised banks. The small portion could be used for helping the state ‘s loan waiver plan. 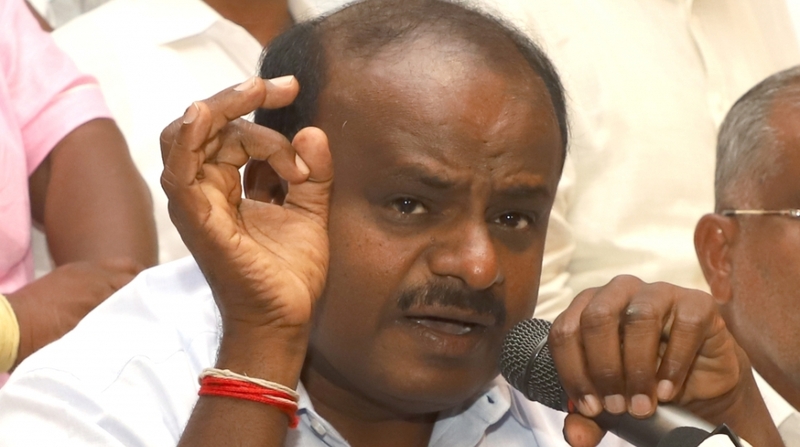 Meanwhile, defiant Kumaraswamy said he was prepared to nominate the state’s representatives on the Cauvery Water Management Authority but not before the concerns raised by him were addressed, a day after he pitched for parliamentary approval to set up the CWMA. Political parties in Tamil Nadu reacted sharply to Kumaraswamy’s remarks on the issue, accusing him of trying to “sow seeds for a new problem and confusion” and attempting to score “a few political brownie points”.